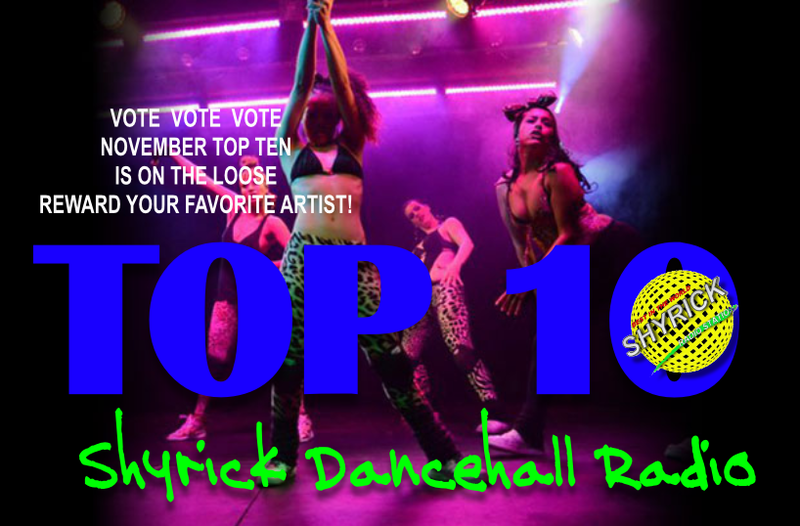 Last night - Friday night Dec 5th saw the return of Shyrick Dancehall Radio's Top Ten Charts ... WITH A TWIST! What previously was an annual event is now a monthly event where the battle is on to hang onto the top spot or in the least the next six spots in order to stay alive in the race to the TOP for another month. It was an exciting night. Empress Eko our ( 5th place winner last night) informed the Shyrick Crew that she dragged out some big speakers out doors into her neighborhood so all the hood can count down with her. Please support these artist by voting for them and passing around this poll! these three will be replacing the artists who sat in the bottom three positions for November . Good luck to all artists! Network, network, network and may the best song win.